Come and get ideas for fun music activities to get your kids rocking, rolling and learning! Music is beneficial to kids in so many ways, but you don't have to be a classically-trained maestro or a chart-topping rockstar to give your kids all the benefits of music. 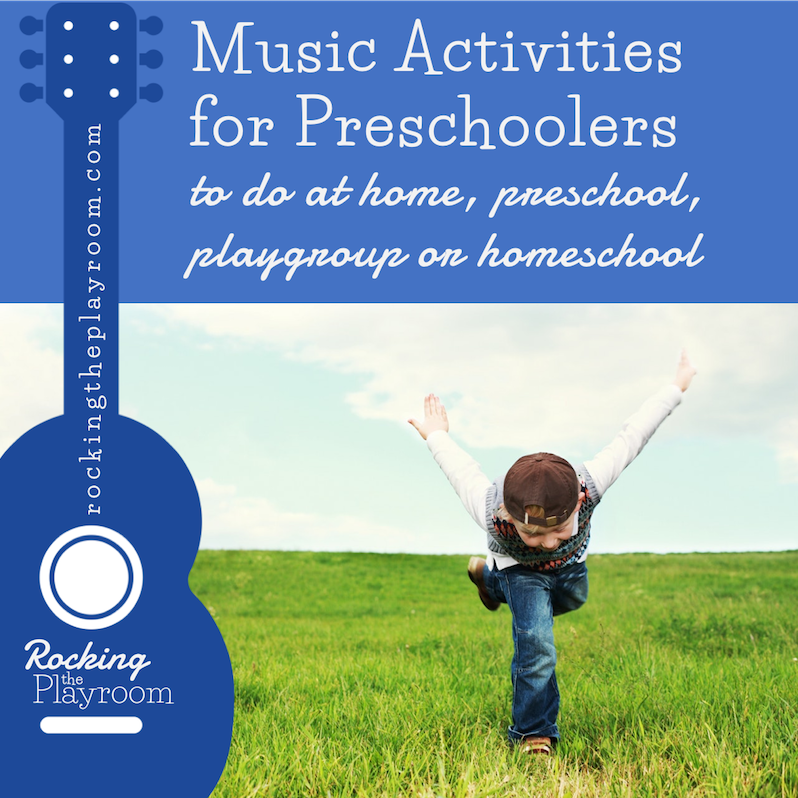 But if you're anything like me, you could do with a few ideas, and that's what Rocking the Playroom is all about - fun music activities that can be done at home, at school, or even at a playdate! Some of our activities teach the children about basic music theory and musical instruments, but most are centred around a theme from the children's everyday life, and the music helps the children to learn about their world! So come and rock along with us and give your kids all the benefits that music has to offer! There's so much to love about music! Get your kids talking about what they hear with this free printable set of music appreciation cards (PDF). A rain dance for a preschool weather theme - using “Rain” from Beat Bugz, performed by Aloe Blacc and written by The Beatles. A hello song in South Africa's 11 official languages. A playlist of my favourite kids' songs about insects and creepy crawlies! Here's a Sesotho chorus called "Ahuna ya tswanang le Jesu", which means "there's nobody like Jesus". March around like dinosaurs and drum along to the beat with Laurie Berkner's song "We are the Dinosaurs". Grab this FREE printable set of music appreciation cards! Get your kids talking about what they hear when they listen to different styles of music. Let's blast off into space with a dance to "Rocketship Run"! Here's a fun playlist of songs about winter! It's getting quite chilly here in Joburg, so we're going to warm up by singing and dancing about the icy winter season. Sign up to receive your free printable set of Music Appreciation Cards for a fun music activity with your kids.